The cakes have eyelashes! EYELASHES! Up to this point in time a unicorn cake involved sticking a unicorn topper on a cake and it was totally freaking adorable. Not only does it have a silver horn and a pastel frosting mane, but it also has eyelashes. EYELASHES! How cute is that? 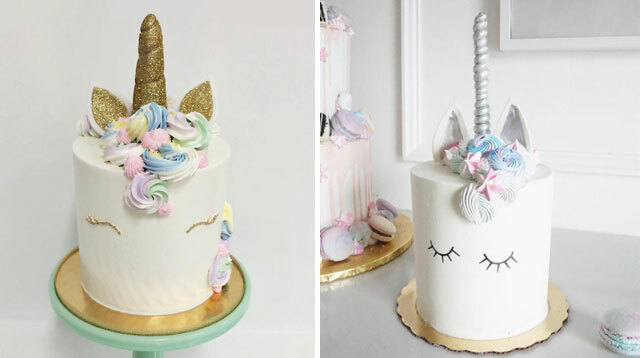 Thanks to the power of Instagram, they’ve inspired bakers all the way from Belgium to Miami to create their own versions of these mythical cake creatures. There are even unicorn cupcakes if you like your sweets miniaturized.